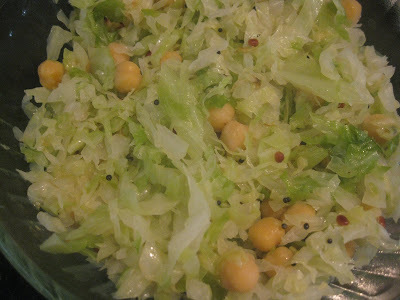 Cabbage and Garbanzo is new to me. That's a lovely combo and simple to make. I love simple stir fries....looks nice.. Simple and easy curry Vidhya..